Founders of one of techno's most important labels, Soma, heavyweight DJ duo Slam will be making their first appearance at VENT on March 2nd! Glasgow has been a breeding ground for many outstanding artists, and founders of one of the techno scene’s most important labels, Slam, will be performing at Omotesando VENT! Hailing from what can be called the “Detroit of UK”, the rugged industrial stronghold Glasgow, Scotland – Stuart McMillan and Orde Meikle’s Slam convey an experimental yet powerful contemporary sound. 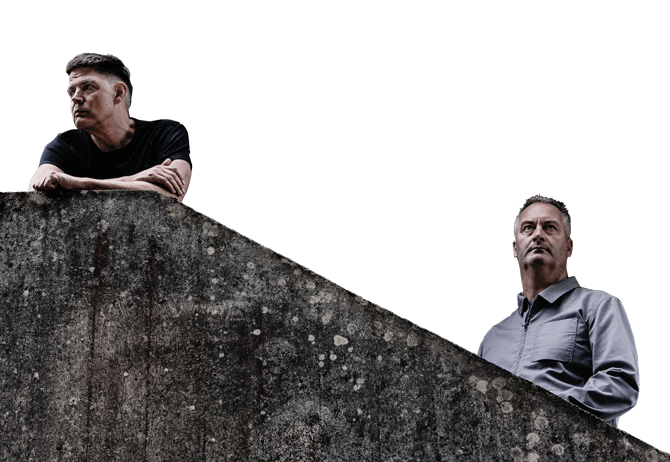 The duo have released many original studio productions while being highly influential in the ever-evolving techno scene. They are also co-owners of the Riverside festival, organizers of the legendary warehouse party Maximum Pressure, and have brought many local techno artists to international fame. They’re also co-founders of the Soma imprint, which is well-known for its cutting-edge lineup, boasting over 600 releases since its inception. The antithesis of mainstream, their hard and deep sounds have been revered by numerous artists, such as Richie Hawtin and Truncate to name a few, and they constantly receive remix offers from top artists. Their back-to-back live setup includes 3 pairs of CDJs, delivering high-quality minimal techno with their own unique twist!